Waterman & Waterman Adelaide’s finest and most experienced property advocate for buyers and sellers for residential, commercial and industrial property. 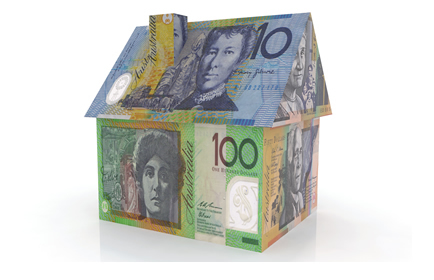 We Buy, Sell, Rent and Manage real estate throughout Adelaide and South Australia. Waterman & Waterman, Save you time, money and stress!! "The team at Waterman & Waterman were very professional. They were both courteous and attentive to my needs as a client. Despite leading a busy life with long periods of time overseas and travelling, the team were able to maintain regular contact at times convenient to me. Their advice was sound and weighted, which led to me being confident in their abilities and purpose. The most reassuring fact for myself was the level of trust I felt while working with Waterman & Waterman, particularly as I was purchasing the property "unseen". The process was smooth and free from stress, which was neatly packaged with prompt and reliable customer service in a genuine manner. I would not hesitate to recommend that prospective clients consider Waterman & Waterman for their Buyers Agents service." "We are very satisfied with the friendly & professional service provided by Chris Waterman. It was ideal for us since we don’t know much about property values and we are not that good in negotiating. Chris guided us in our search for a house and even drove us to quite a few property inspections (because we didn’t have a car). We found our house within one month after we engaged Chris! Chris also took care of the auction for us, and we are happy with the price he negotiated. Based on our own experience we recommend Chris Waterman to help you in the search for the right property for you." 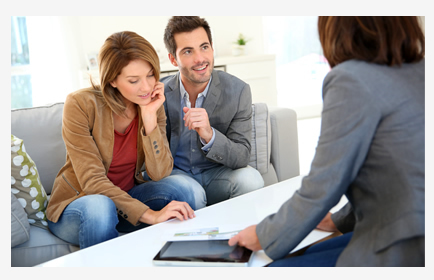 "Loved working with Chris and Jess who guided me through identifying and purchasing a property recently! Would highly recommend the team to others looking to purchase and I'd certainly engage the guys again if I had the opportunity." "With the knowledge Chris has of the industry he was able to take the stress out of deciding on the best agent to sell our house. He was there every step of the way and as able to handle all the problems that came up along the way. I knew he was on our side when the difficult decisions needed to be made, so it was like having a friend with us along the way." "With Waterman & Waterman's helpful assistance and recommendations, we were able to sell our property in an incredibly short amount of time AND for more that we were actually asking for! We recommend them unreservedly to anyone who asks!" "The property was very rundown and I was extremely grateful for all of Chris' knowledge and assistence during the repairs, cleaning and subsequent sale. By leaving it all to him, it saved me a lot of headaches and freed up my time to deal with other matters. So glad that I heard his ad on the radio!! " 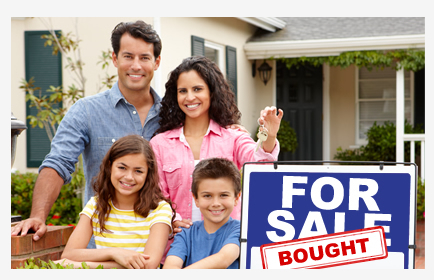 "I discovered Waterman Property Management services in 2010 and I am very glad that I did. Attention to detail, efficiency, standards of advice and administration, personable communication and delivery of excellent outcomes is completely assured and unquestionably consistent. From tenant selection through to renovation project management, all I have requested has been executed with thoughtful thoroughness and advice or options have always been graciously and judiciously provided. I commend the Property Management Team, under the leadership of Mrs Salamon, to you without reserve. I am confident that you will experience the highest levels of service and the utmost of professionalism. Do yourself a favour and seriously consider Waterman Property Management. " "Kelly is a great Property Manager. Unlike other companies I've dealt with, Kelly goes out of her way to make herself available for both landlords and tenants. She listens and goes out her way to provide an efficient and responsive service. I would highly recommend Kelly and the Waterman Property Management Group "
"breeze to deal with and was always ensuring that the right tenant was selected and made sure that they looked after my investment property. I would thoroughly recommend Waterman and Waterman to anyone who is looking for a great property manager, who goes above and beyond to help look after your investment and obtain the best achievable rental return"
"I would like to thank Kelly for being a professional and Caring Property Manager, She and the Waterman Team treat their Tenants with a high level of respect , something not always acknowledged in the world of Rentals . I highly recommend anyone looking for a rental property to apply for a property through the Waterman Team. Thank you Again Kelly for all that you have done." "We appreciate the big helps from Michelle MacDonald, property manager of Waterman Property Management. She guided us through the whole process, moving from Victor Harbor to Adelaide. She resolved all our enquiries after we moved in. We feel very lucky having contacted Michelle in consulting the living reference, she is a person full of responsibility, gentleness and provided professional service. She gave us clear instructions for renting; under her professional direction, we have successfully received the offer to move into where we are living now. Since we have moved into this new property, we are very happy and feeling fortunate, this unit not only facilitates our working life as its a convenient location, but also maintains a healthy-environment for our personal life." "I have been renting a property in Seacombe Gardens for approx. 4 years. In that time, I have had good relationship with property manager Kelly. Not only did I find Waterman Property Management Adelaide easy to get along with as a tenant, if I was a landlord looking for a property manager, I would definitely consider using theirs services, knowing they have a great knack of looking after both tenant and landlord. From me personally, they come highly recommended"